It is not exactly the best-kept secret that I harbor a weak spot for Depeche Mode, a band that has accompanied me ever since I started listening to music. Now, Depeche Mode is an example par excellence for a band where the total is much greater than the sum of the individual components, as the individual solo careers and the protagonist’s own outputs attest to. Yet it does not merely come down to the band members as without one Anton Corbjn, who has been the man behind pretty much all of Depeche Mode’s visual emissions – be it videos, photos, stage sets or artwork – the image of Depeche Mode and the way they are being perceived would be dramatically diminished. 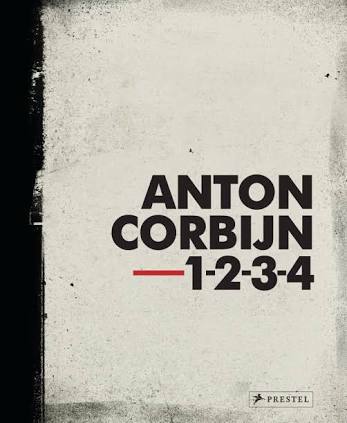 1-2-3-4 is a comprehensive collection of the photographic oeuvre of Anton Corbijn. It shows the craft and art of a photographer and director that has left his idiosyncratic imprint, elevated careers and given a deeper dimension of everyone who has been fortunate enough to work with him. Opulently illustrated, this tome of my favourite among the many great releases of Prestel Publishing house with hundreds of known, candid, behind-the-scenes and unknown depictions of everyone one from Nick Cave to Metallica, David Bowie to Nirvana, Lou Reed via U2 to R.E.M., the Rolling Stones to Siouxie and the Banshees. A profoundly beautiful book showcasing punk, grunge, pop and rock 'n roll legends that should not only be an essential part of any music lover’s library as it is not only a feast for the eyes – it transports you where the artist is at – but also anyone remotely into photography.